Home buyers love to buy homes in spring. It is the season of beautiful weather and new beginnings. If you’re looking to attract spring buyers, change your home’s décor. Fill your interior with fresh motifs, bursts of color, and lively patterns. While you can’t change the location of your house, you can change its condition. Get your home ready to sell with these spring home staging tips. Think spring decorations have to be bought from the store? Think again! You can make personalized spring decor by optimizing things found in nature. Step out and gather some fresh flowers, blooming branches, or twigs. Natural elements create a relaxing atmosphere and possess the captivating power of nature. Display your natural decorations in a bowl, a basket, or even a tray. You can also place them in different containers and display them throughout your home. Choose containers made from natural materials (like wood, clay, or stone) to continue the theme. For example, you can put flowers inside clay pots. Color is a design element that can transform a room in an instant. Select springtime colors like soft violet, dusk blue, emerald, or lemon zest. You can paint the entire room or an accent wall. If you don’t want to paint walls, add a decal. A subtle decal can give a room lots of springtime cheer. 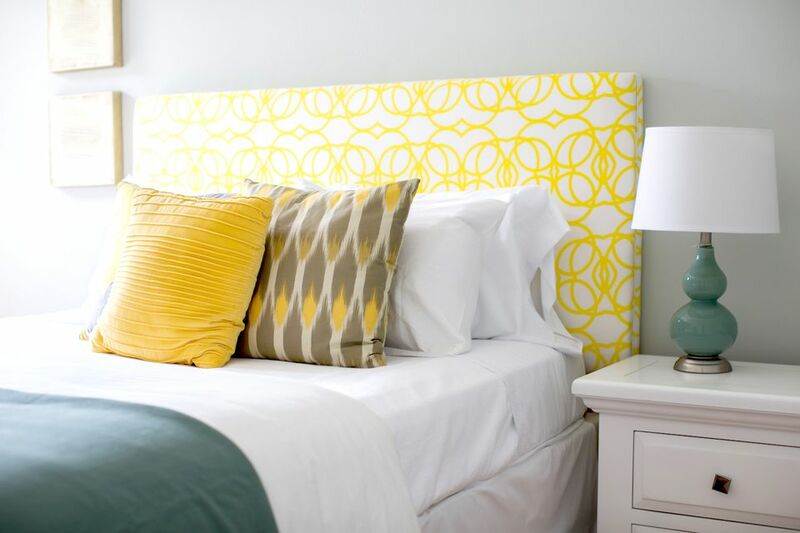 In addition to painting your walls consider bringing color into your bedding, pillows, lamps, etc... Remember to use colors that are complimentary to your neutral hues in the rest of your home's decor. Improve the ambiance of every room with the lovely glow of candlelight. Spring candles quickly fill a home with warm light and appealing fragrance. They come in a myriad of scents so you can choose the best one for your home. A word of caution: when it comes to candle scents, it’s better to choose milder ones that will not affect potential buyers. Spring candles are not only aesthetically pleasing; they add aroma and color. Infuse elegance by placing them in votive holders or decorative glass jars. You can also use large hurricane candleholders with inner containers that allow you to place objects like flower petals around the candles. Your home is not complete without a lovely wreath to make your front door inviting. You can create a wreath with flowers, twigs, and other spring décor elements. If you don’t have time to make a wreath, buy one at a craft store. Make your wreath unique by adding a pastel ribbon or natural elements. You can also make your wreath fragrant by integrating cinnamon or dried lavender. These two make a house homey, warm, and welcoming. Beach decor makes home buyers think of summer, and everyone loves summer! If you want to inject the look and feel of summer into your home, paint the walls dune grass green or maritime blue. These colors make a space airy and inviting and create a relaxed coastal feel, making your home feel like a seaside cottage. Alternatively, you can give a gentle nod to coastal living with nautical décor. Display seashells, tiny boats, sand dollars, nautical throw pillows, and other sea treasures. Position a nautical painting above the fireplace mantel to give it the coziness of waterfront living. These home staging tips for spring give you the opportunity to turn your home into a warm and welcoming spring oasis. But limit the spring décor elements you use in order to avoid cluttering your home. As much as home buyers love spring homes, the last thing they want to see is clutter in a beautiful home.